Archival Inks provide lasting stamping results that are permanent on many surfaces. Get a crisp image that doesn't bleed over water-based inks and markers, acrylic paint, water colors, Adirondack Alcohol Ink or Perfect Pearls pigment powders. Acid free, Non-toxic, Waterproof, Permanent on matte and gloss papers, Air dries on matte surfaces, Heat set on glossy surfaces. 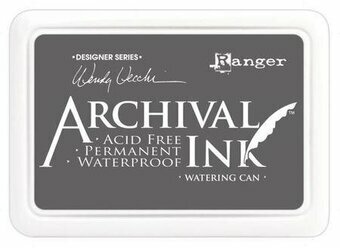 Ranger Archival Reinker. 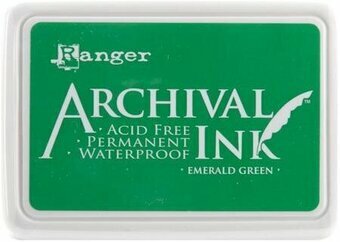 Perfect for Archival Dye Ink pads. This package contains one 0.5 fluid ounce bottle of dye ink. 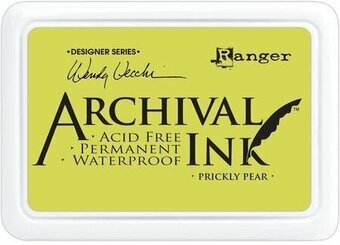 The ink is acid free, permanent, and waterproof. 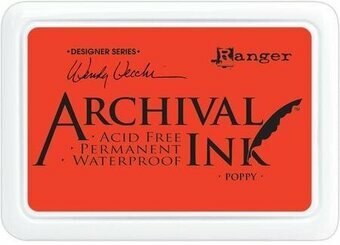 Wendy Vecchi Designer Series Archival Ink Pads. 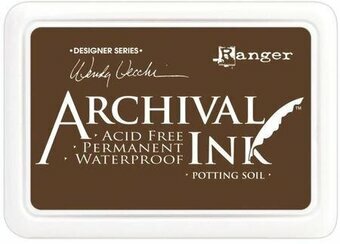 This ink will help you to create crisp, waterproof stamped images that won't bleed when used with water based inks. 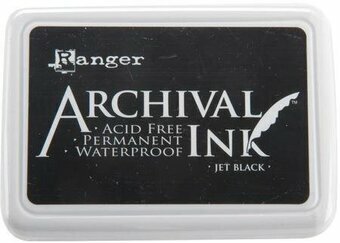 The ink is archival quality that provides long lasting results and are permanent on many surfaces. 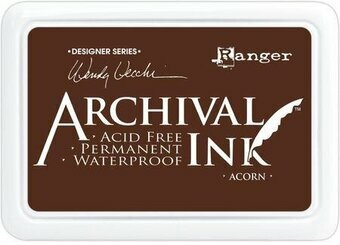 Wendy Vecchi Designer Series Archival Ink Pads. 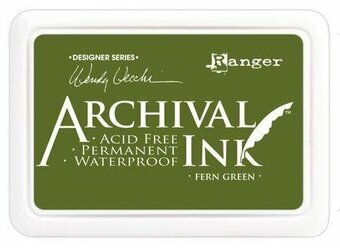 This ink will help you to create crisp, waterproof stamped images that won't bleed when used with water based inks. 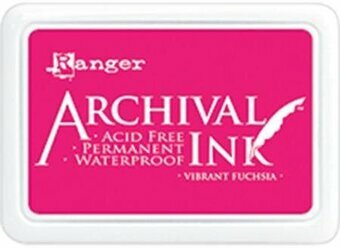 The ink is archival quality that provides long lasting results and are permanent on many surfaces. This package contains one 2 3/4 x 4x3/4 inch ink pad. Acid free and waterproof.